If ITER were an industrial fusion plant, the better part of the heat generated by the burning plasmas would be used to produce pressurized steam and (by way of turbines and generators) electricity. Only residual heat would need to be dissipated. 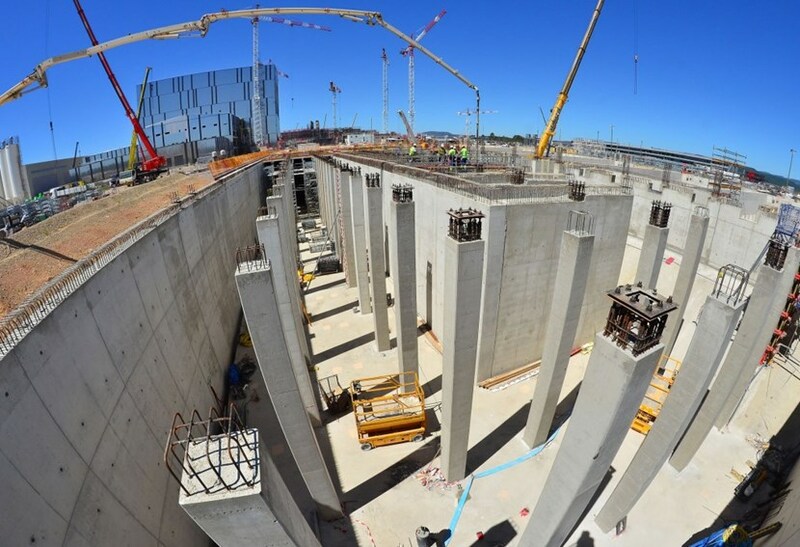 Work is ongoing on one of the ''final links'' of the cooling water system: a vast (6,000 m²) zone that accommodates two large basins and a cooling tower installation made of 10 independent cells. Fabrication of the cooling tower elements has begun in India. But as an experimental installation, not designed to produce electricity, ITER will need to evacuate and dissipate all the power the fusion reaction generates. And this means a lot. During the plasma burn phase, the amount of heat to be evacuated from the Tokamak and its auxiliary systems will be in the range of 1100 MW. 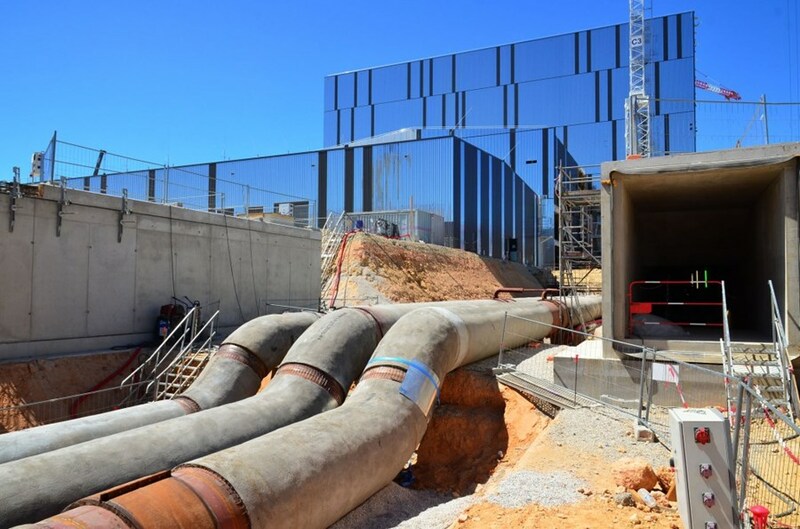 The complex system of piping, pumps, open and closed loops that form the ITER cooling water system ends up here, in a 6,000 m² area that accommodates cold and hot basins with a total volume of 20,000 m³ as well as an induced-draft cooling tower installation located above the cold basin. 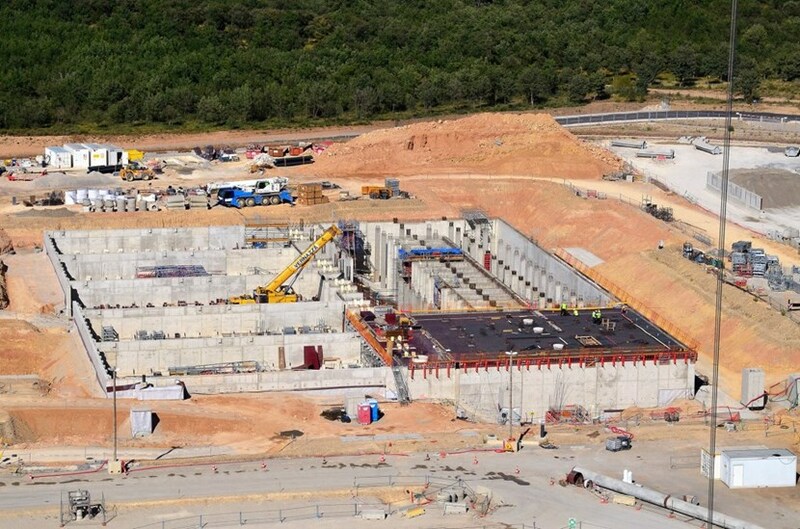 Seen from above, the cooling water zone at the northeast end of the ITER site. These supersize pipes (one metre and more in diameter) for the heat rejection system are designed for a flow rate of two cubic metres per second.